From our central London location, we provide the perfect venue for Christmas gatherings and parties. From office parties and lunch time get togethers to family celebrations and friend’s reunions. Feeling festive yet? With Christmas rapidly approaching you best get your skates on if you want to beat the rush. Around this time every year central London comes alive with colourful window displays and thousands of eager shoppers exploring the city’s huge variety of Christmas shopping opportunities. Perhaps you’ve built up quite an appetite whilst shopping, or maybe your office can’t settle on somewhere to go for this year’s Christmas meal? If you find yourself wandering the side streets of Covent Garden in the direction of The Strand, why not pop into Shapur Indian Restaurant for lunch or dinner? We offer a fantastic menu from our Central London location, just next to Somerset House. We offer an easy to organise dining experience, for lunchtime or evening events. Enjoy the festive spirit of our main restaurant area or make use of our luxurious private function room at no extra cost. Shapur Indian Restaurant offers a fantastic setting for office Christmas meals and parties, family get togethers and friendly seasonal gatherings. 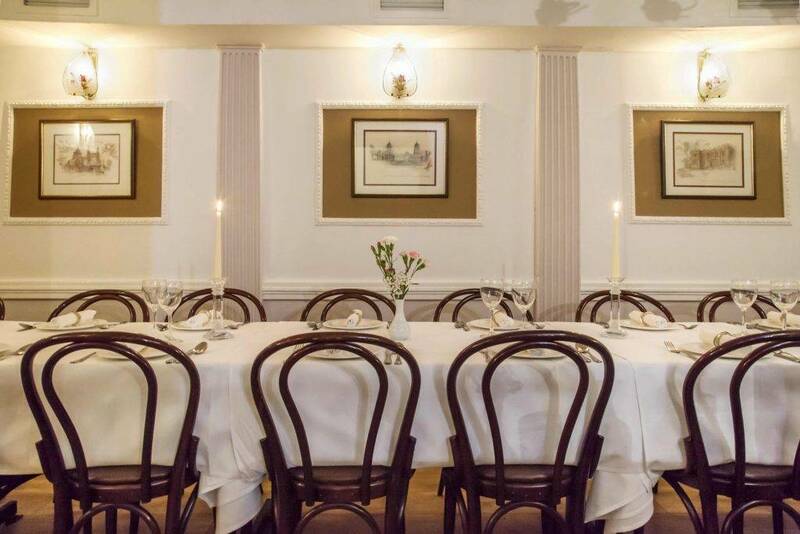 Not only do we offer a super convenient Central London location on The Strand, we offer a private function room perfect for group meals at Christmas which is available without a hire free! That’s right, no hire fee whatsoever. You can get in touch to find out about the latest availability. After that it’s very straightforward, all we ask is a small £5 deposit per person, which we think makes us one of the best value Christmas meal bookings in Central London. 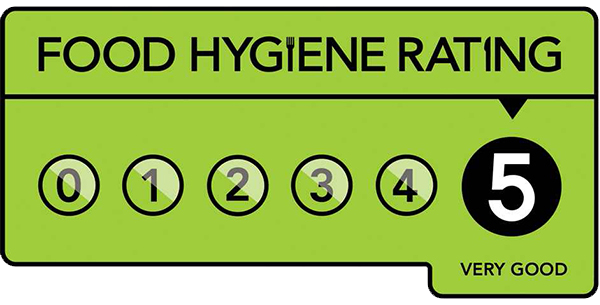 As we offer a set menu, or allow you to pick from our full range of dishes, there is no need to try and collect food choices from every person who wishes to attend. Our Christmas set menus are available during both lunch and dinner service, so are ideal whether you’re popping out of the office in the middle of the day or heading into town in the evening. We open from 12pm until 2:30pm for lunch and reopen again at 5:30pm for evening service. You can view our lovingly curated set menu options here. Of course, alongside our set menu we continue to offer our full menu service, everything from Indian classics through to innovative and delicious crustacean and fish exclusives. Shapur Indian Restaurant have a fully stocked bar available to all customers to accompany their festive meal. We are proud to stock some of the finest spirits available. 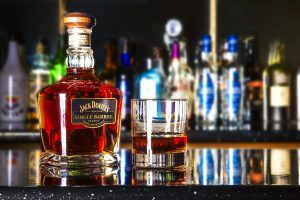 To those looking for a treat, might we recommend our special reserve barrel-aged Jack Daniel’s whisky, a superb winter warmer. For those planning their work Christmas get together, rest assured that both the main restaurant and the private dining area offer free wifi, so you’ll be able to stay connected to your emails whilst dining if you so wish. Our private area can comfortably sit 30 people or be arranged for a standing event for 50 people, whatever your needs, we’ll always be delighted to accommodate you. Whilst this space is available with no hire fee, Chistmas group bookings are also welcome to dine in the main restaurant space if they wish. If you would prefer to take a look around before arranging your Christmas meal at Shapur why not pop in? You’ll find us on The Strand, number 149, just next to Somerset House. We’ve recently refurbished the our interior and would be more than happy to show you round, of course there’s no obligation to book once you’ve seen the restaurant. Call us on 020 7836 3730 to arrange a viewing or contact us online.